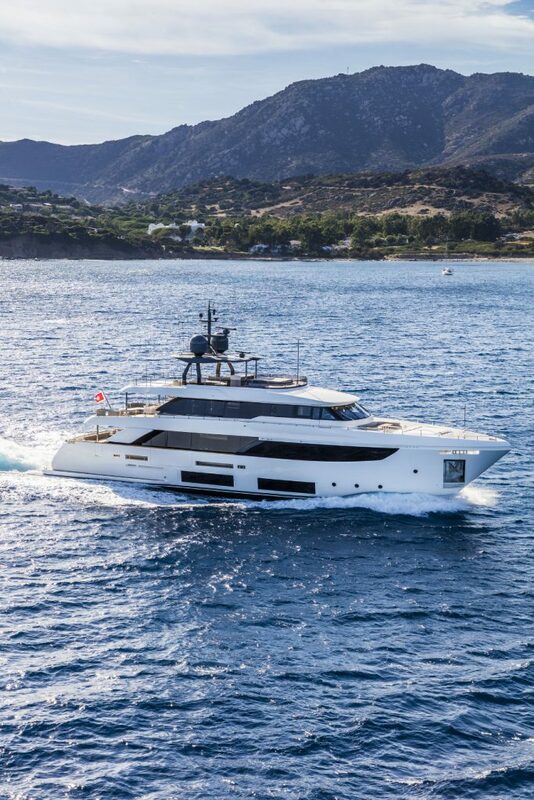 The Group exhibits for the first time in the USA the new Custom Line Navetta 33, Riva 56’ Rivale and Ferretti Yachts 920. Ferretti Group continues the triumphal tour in the major world shows, strengthened by an ever expanding fleet, full of successful models and exclusive premières. From February 15th thru the 19th it will come the time for prestigious “Miami Yacht Show”, now it its 30th edition, an outstanding appointment for the US’ boat sector. After the inaugural celebrations at the BOOT in Düsseldorf, Miami Beach, paradise of glamour and luxury, will be as well the sparkling stage of stars and stripes celebrations for the 50th anniversary of Ferretti Yachts. Collins Avenue will host a wonderful exhibition of yachts from around the world, where Ferretti Group will present, for the first time in the United States, the new Custom Line Navetta 33, Riva 56’ Rivale and Ferretti Yachts 920.